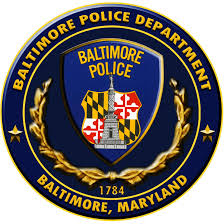 The Baltimore police union says the officers in the Gray case acted correctly and did nothing to unduly harm him while he was in custody. The union suggests that the prosecution rushed to judgment in a case that amounts to a tragic accident. But in the end, the charges of illegal imprisonment may not hinge on the details of Maryland’s knife law. Instead, the question may be one of whether officers are legally liable for knowing the exact wording of laws. Even if objective observers would declare Gray’s knife legal, “is it still unreasonable for the officer to think that it could be an illegal knife? That’s a close call,” says David Gray, a professor at the University of Maryland School of Law. Click on the link to read the full text of Patrik Jonsson’s article What Freddie Gray’s Knife Says About Police Power in America. This entry was posted in Courts, Crime, Jurisprudence, Law Enforcement, Police, SCOTUS, United States and tagged Freddie Gray, Stop and Frisk. Bookmark the permalink. How the hell could police SEE or think he had any kind of a knife, legal or otherwise? All that does is void the fourth amendment if the cops can stop and frisk any person they wish. I think the DA will lose on the matter of the knife. The cops found the knife when they frisked him. I think that (the frisk) is probably legal. That still leaves Freddie Gray dead. That is not legal. This is the closest thread that’s near current. The killer of Trayvon Martin (I don’t use his name) was involved in a road rage incident in Lake Mary FL. Bullet hole in his truck passenger window; facial injuries from flying glass. The other guy did the shooting. Police say it’s an on-going feud. Too bad the guy was not a better shot. Of course, I wonder how much damage could be done to Zimmerman by shooting him in the head. In any case, it seems like the guy was standing his ground and had a well founded fear for his life since Zimmerman is noted for being quick and deadly on the trigger. Maybe next time Martin will get some justice at the hands of another white guy. One can only hope.